Establishing an effective incident management policy or process will help to improve business resilience, support business continuity, improve customer and stakeholder confidence and reduce financial impact. 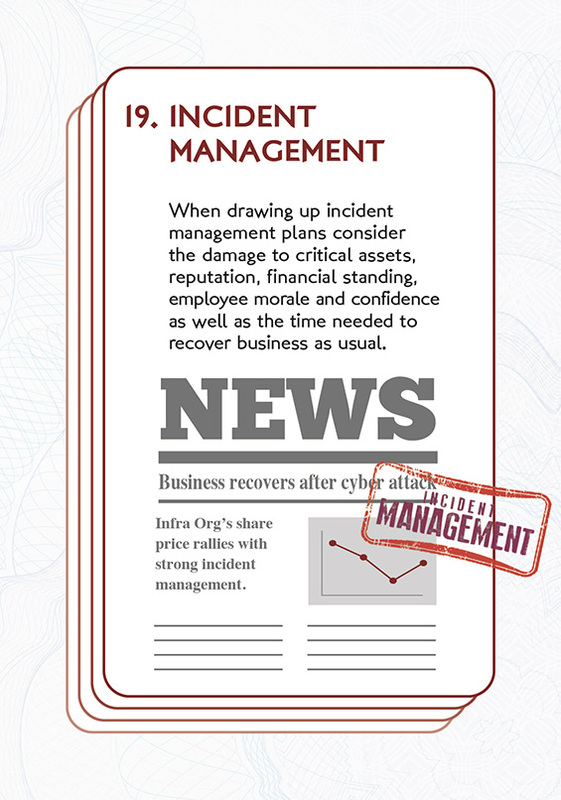 What are your current incident management and business continuity policies and procedures? How often are they practised, reviewed and updated? What training is offered to staff on incident management? How are security incidents handled? How are suspicious activities reported and investigated? Do staff know who to contact and how? CREST – scheme for public and private organisations for incidents not of national significance.